Maybe it’s because I can’t wait to go back so I can gorge on Frankie’s buffalo wings spend quality time with the Boy again. LDR isn’t an ideal arrangement, but fingers crossed that we won’t have to do this for much longer. 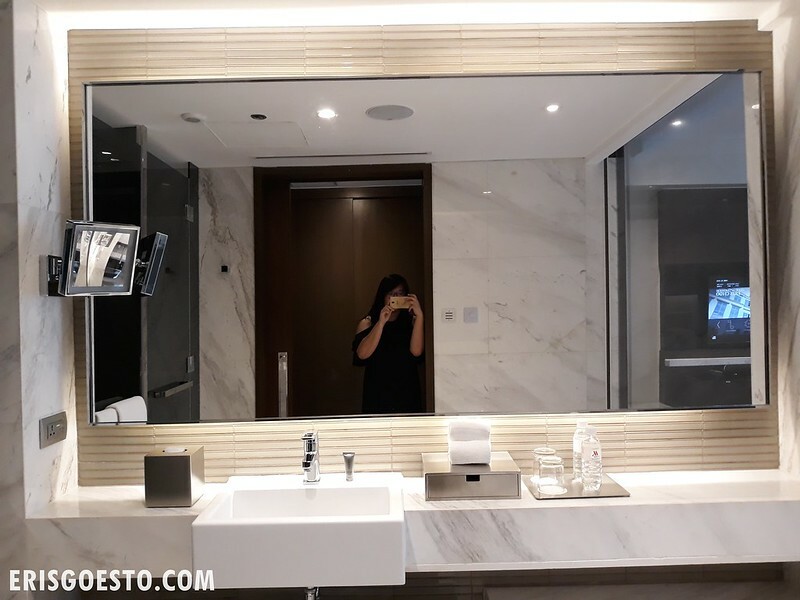 While in town recently, the Boy and I stayed for two-nights at the Manila Marriott Hotel, a five-star luxury accommodation located in Pasay, just a stone’s throw away from Terminal 3 of the Ninoy Aquino International Airport. 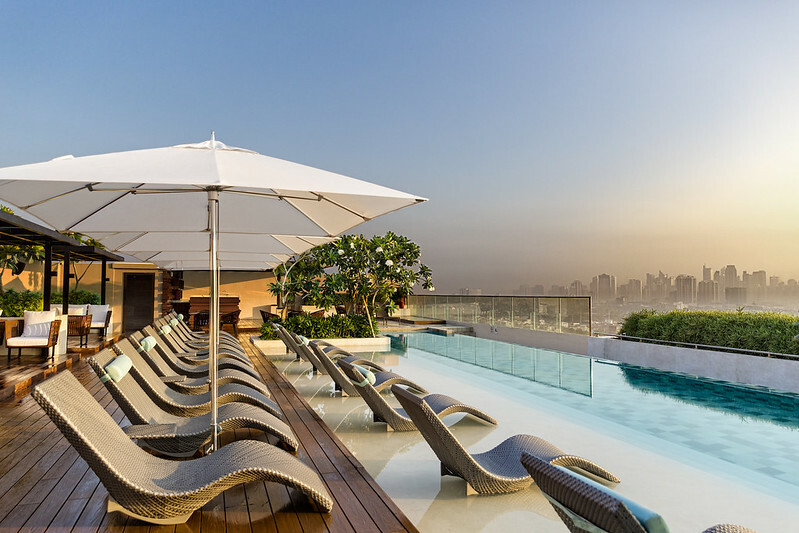 Convenient location aside, the hotel boasts a slew of facilities, including 570 modern guest rooms and suites, several restaurants and bars, a rooftop pool, and the brand’s signature Quan Spa. 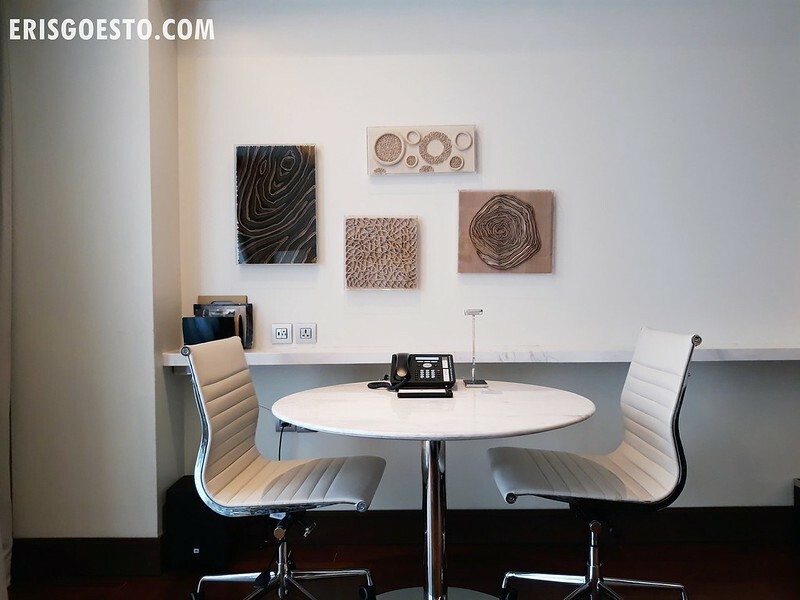 One thing in common with many Marriott hotels all over the world is their modern yet elegant decor, as well as connectivity. 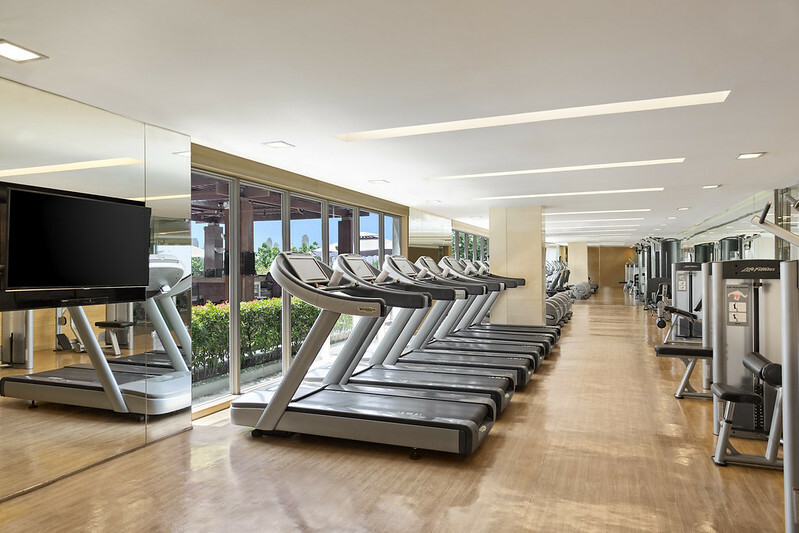 Apart from having ballrooms and meeting spaces, most of these establishments are linked to malls and/or entertainment centers. 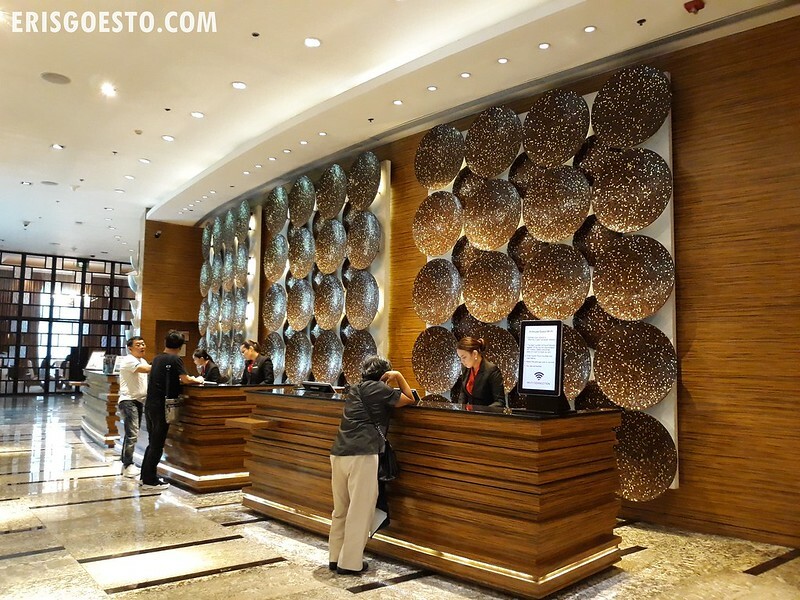 Manila Marriott Hotel is accessible via a covered walkway to the Resorts World Manila shopping area and casinos. Our premium room was extremely spacious, with a king-sized bed complete with fluffy duvets and pillows, large TV with good selection of channels, coffee-making machine, complimentary tea, mini bar and work table. Furnishings were sleek and modern, employing use of white marble countertop surfaces paired against dark wooden flooring and furniture and grey carpeting. 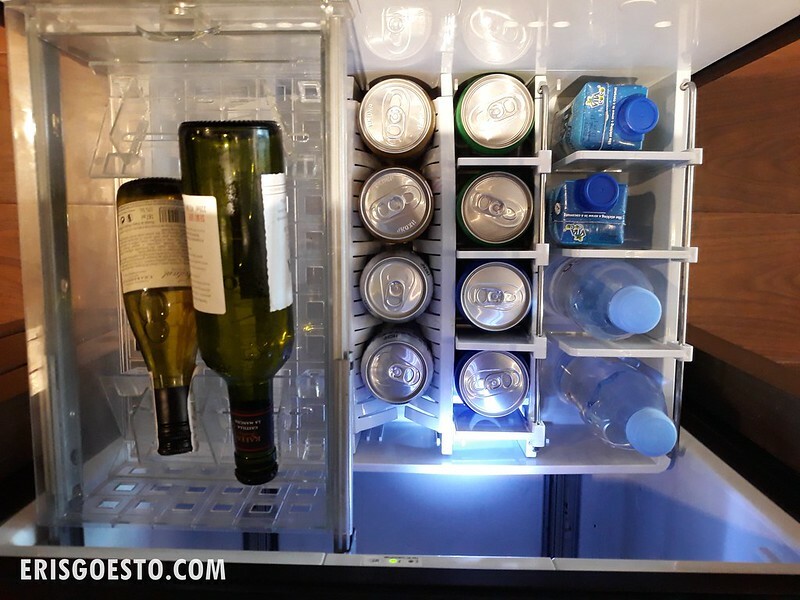 What I really liked: international sockets – so you don’t have to bring a travel adapter along! You can also charge your devices using the USB port, without the three or two-pronged charger head. 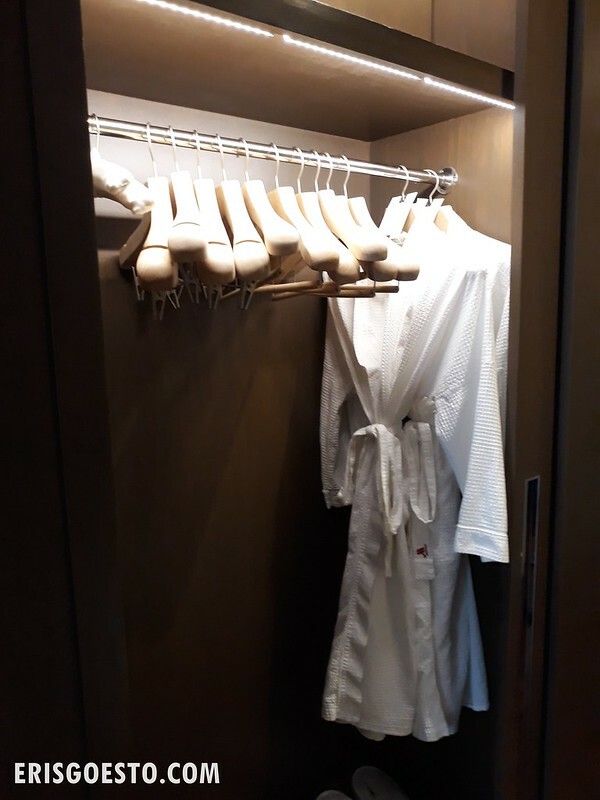 Bathrobes in the closet all fluffed and ready. They also have complimentary shoe-shining services. 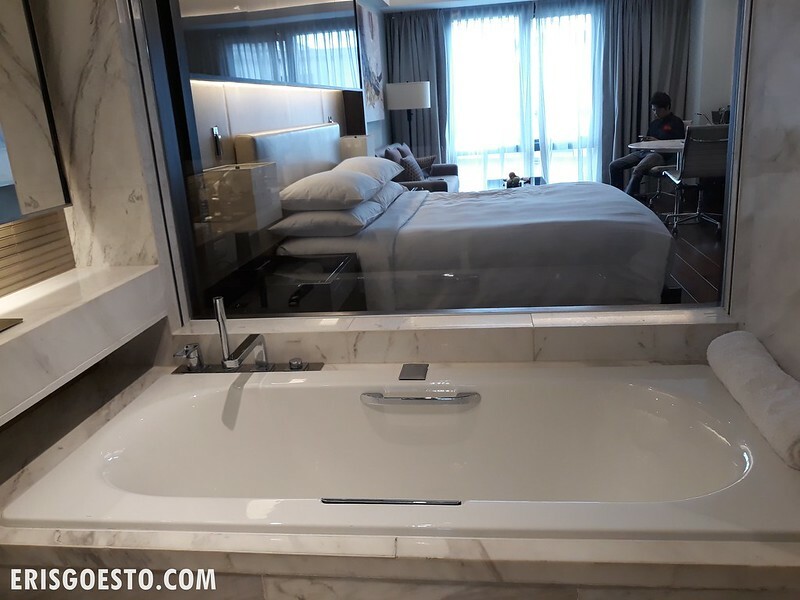 Another thing I really liked – the bathtub! There was a big glass window separating the bathroom from the bedroom, and a shade you could pull down at the touch of a button if you need privacy. Very spacious, branded amenities from Thann in the bathroom. 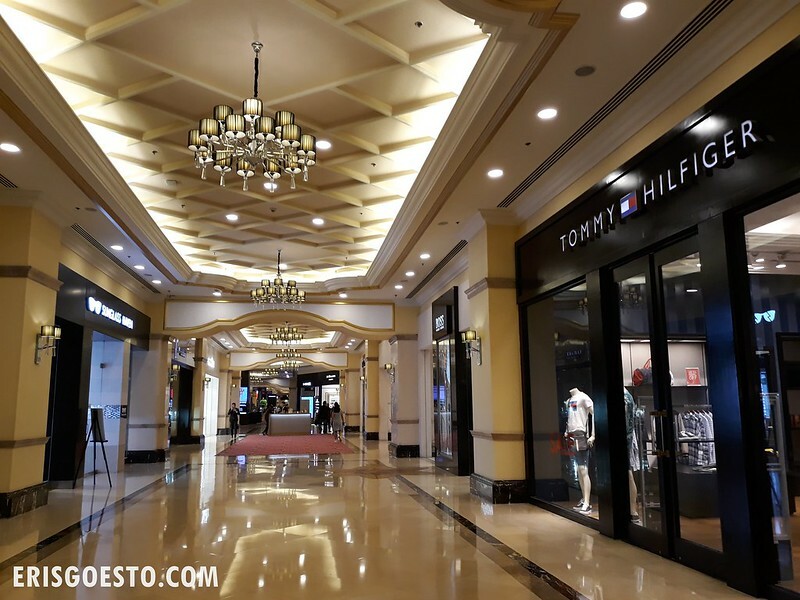 Resorts World Manila is just a short walk away through a connecting passageway! Very convenient. Although, if you aren’t planning on dining at the hotel, food options are rather pricey/limited. Unfortunately we didn’t get to try any of the facilities because we came back late on the second night after getting caught in a flash flood and conked out almost immediately after getting back to our room. There is, however, a nice pool we got to check out, as well as gym facilities. More on the breakfast buffet in a separate post! Rooms start at PHP8,000 (RM612 – USD150) per night. 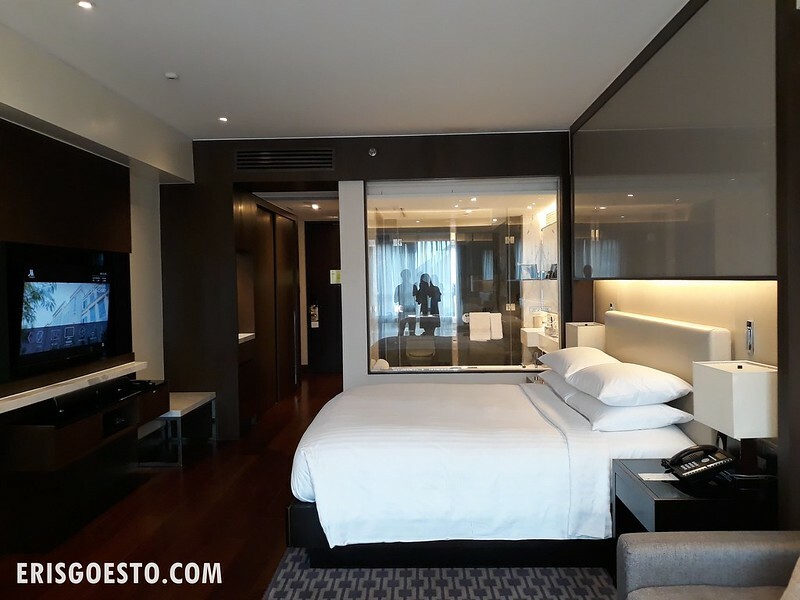 *erisgoesto was invited as a guest to stay at Manila Marriott Hotel in exchange for a review in Going Places Magazine (goingplacesmagazine.com). Views here, however, are entirely my own.